It is expected that over the next 10 to 15 years, IAMP will support more than £400m of private sector investment, creating over 7,000 jobs. It has already been designated a ‘Nationally Significant Infrastructure Project’ by UK Government, which has provided £42m through the North East LEP towards infrastructure including new roads, bridges and environmental enhancements to support the development. 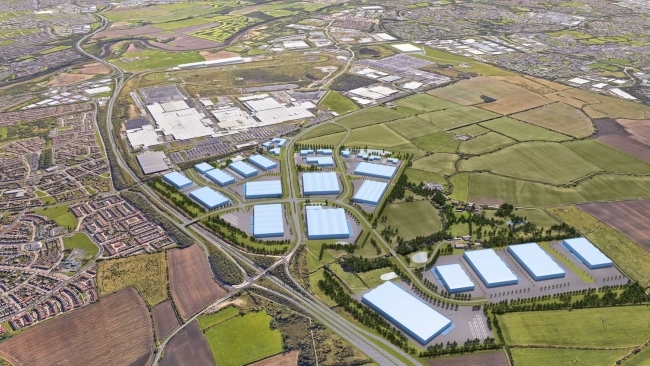 Sunderland City Council approved a planning application that will see 61 hectares of the site – north of Nissan – developed, delivering 1.6m sq ft of advanced manufacturing space. The second phase IAMP TWO will provide an additional c.3m sq ft creating a scheme of significant size and scale. Leader of Sunderland City Council, Graham Miller, said: “The IAMP is one of the most significant developments that the region has seen in decades. Councillor Iain Malcolm, leader of South Tyneside Council, added: “This part of the world has a well-deserved reputation as a leading place for manufacturing and engineering, and the IAMP will build on that, creating an unrivalled location for businesses in this sector. Helen Golightly, executive director at the North East LEP, concluded: “This is welcome news and we can now look forward to advance infrastructure works starting over the summer to create the next phase of industrial development that will further consolidate the position of the North East as a major national and European hub for automotive and advanced engineering.